“You must be the change you wish to see in the world” – Mahatma Gandhi. This quote has become our strongest foundation to continue our work with Connect Indonesia, The Charity. Whilst realising the limited resources we have, we concentrate on the power of motivation and commitment we have as volunteers. 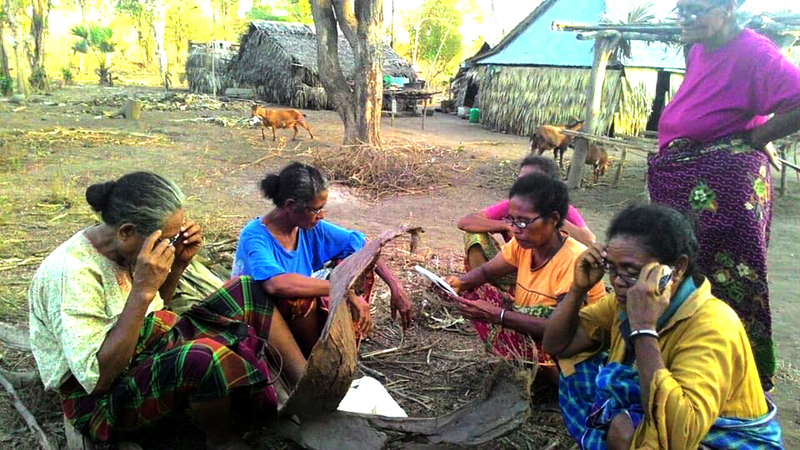 I feel so touched to receive a few photos from Dinny Yusuf of Toraja Mello, sharing the devotion of our weavers in Lembata and Adonara, those who are currently affected by the rumbling Volcano in the island. 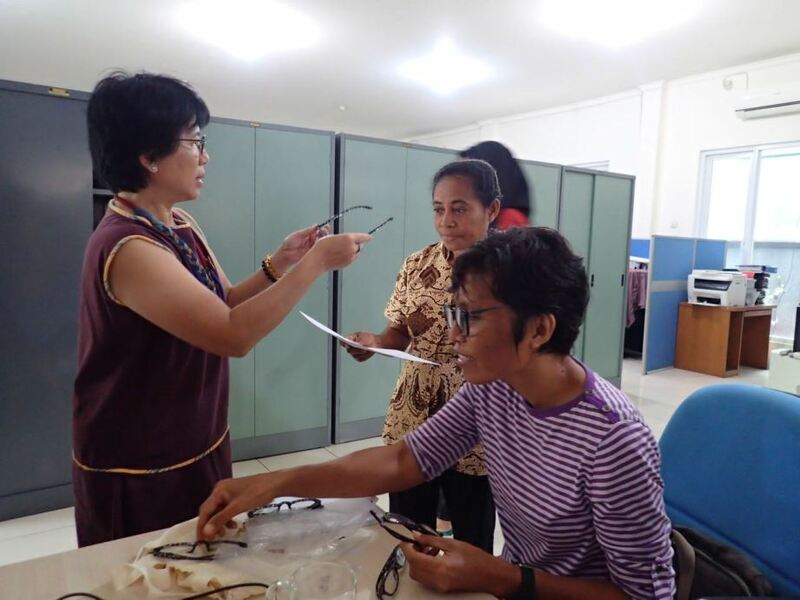 We are truly grateful for the devotion of PEKKA team with Toraja Melo to help with the eye test and glasses distribution, ensuring that all weavers can get the support they need. Thank you PEKKA, thank you, Dinny. We feel very blessed to have met amazing organisations and individual who believe in our work and appreciate the change made by Connect Indonesia, The Charity since it started 17 years ago. We embrace the power of networking, working side by side with people who can see the small changes we have made to the lives of small crafters in Indonesia, particularly women. 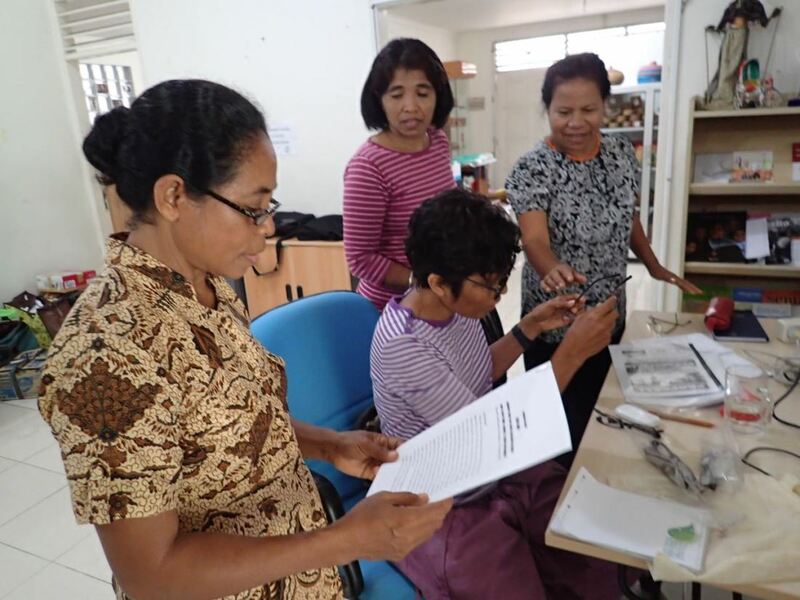 We are truly grateful to Mrs Dinny Yusuf of Torajamelo, for all her support and hard work to bridge our work with the weavers in Lembata, Adonara, Toraja and Mamasa. 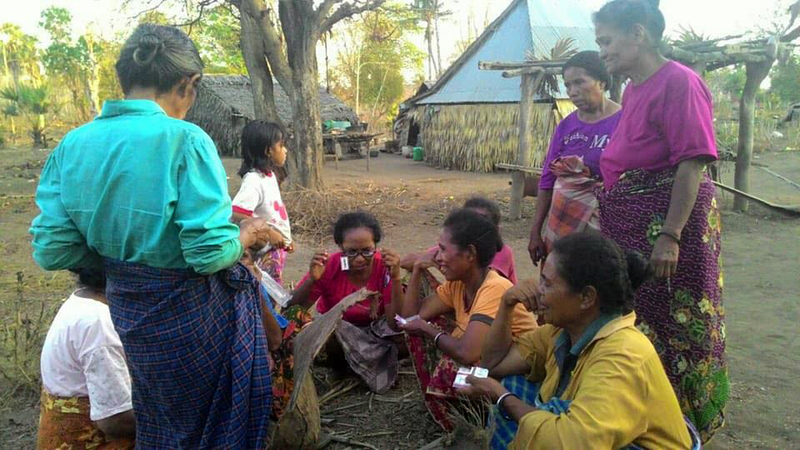 Our sincere gratitude to PEKKA Indonesia team who has helped with the eye testing and distribution. We hope to continue working with Toraja Mello team for more years to come. Our sincere gratitude to Olvira Ballo, our Project and Distribution Manager in Kupang, who has tirelessly devoted her spare time to help manage and run the project to date. Our special thanks to our volunteers and donors who have made this journey possible. God bless each and every one of us.